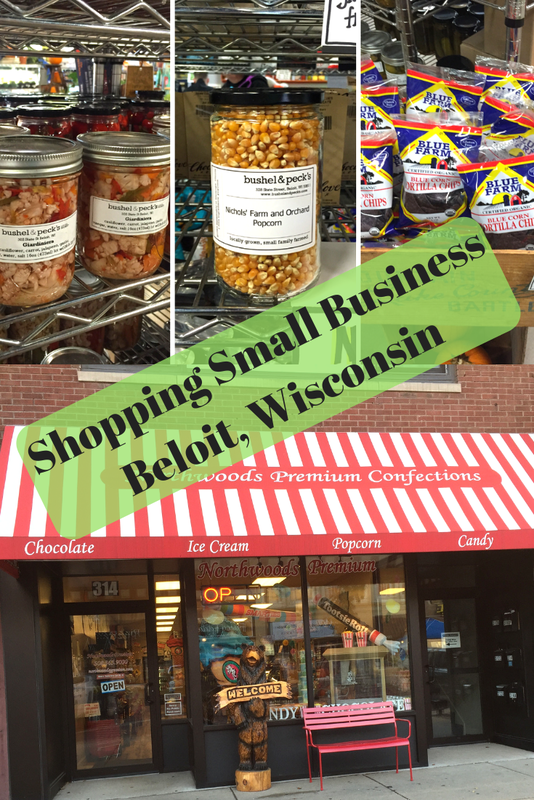 During our visit to Beloit, we could not resist getting our shopping on. The downtown area holds a collection of small businesses and restaurants providing for a unique shopping adventure. 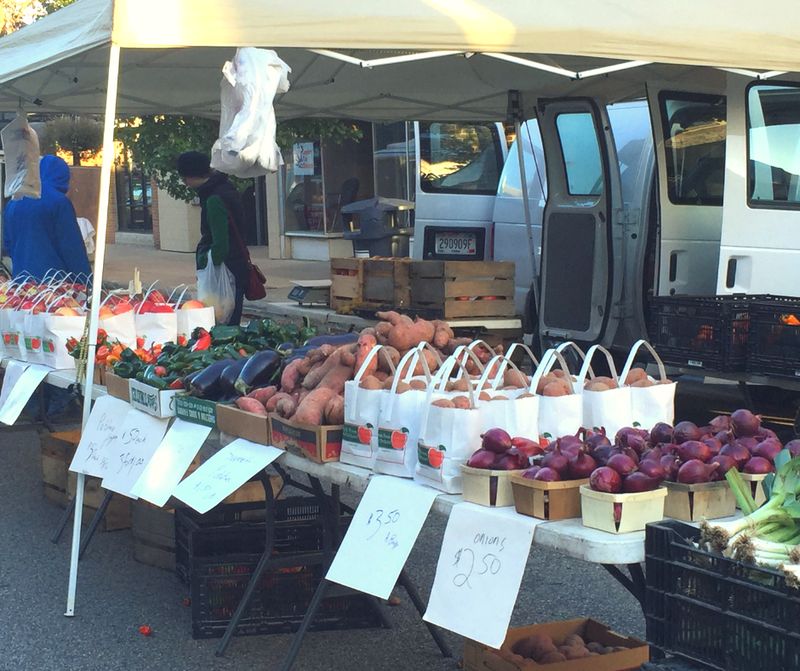 Additionally, the Beloit Farmers' Market finds its home in the downtown area during warmer months. No matter the time of year, though, there is quite a shopping adventure to be had! 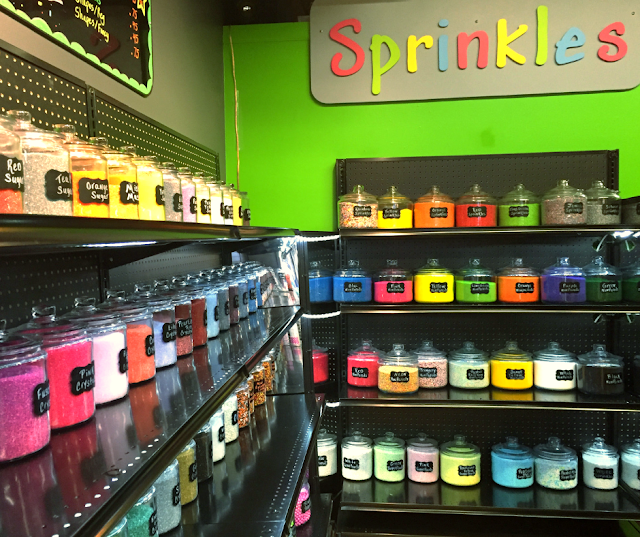 Enjoy being a kid in a candy store at Northwoods Premium Confections! The morning of our visit was a bit chilly. To keep warm, we dipped into Northwoods Premium Confections. Well, in truth no one had to twist our arms. Northwoods Premium Confections is a family owned sweet emporium full of every sugary temptation you can think of from fresh chocolates and fudge to ice cream to retro candies and more. Additionally, Northwoods crafts interesting flavors of gourmet popcorn for your munching pleasure! 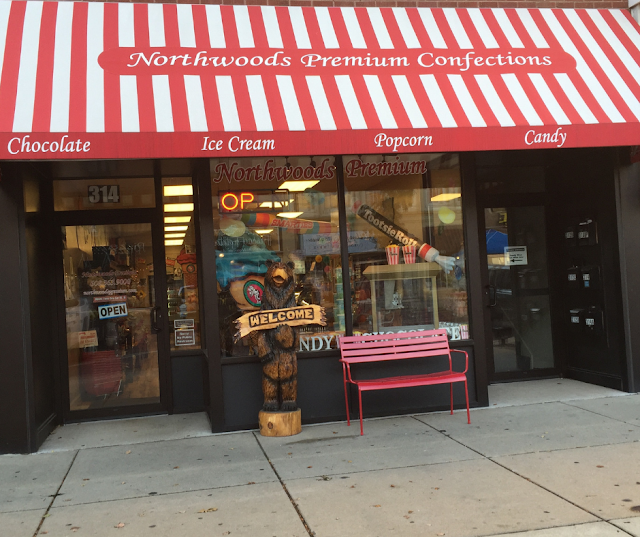 Everyone can find a treat at Northwoods Premium Confections and it is easily a must-do for any family. Candy, anyone? 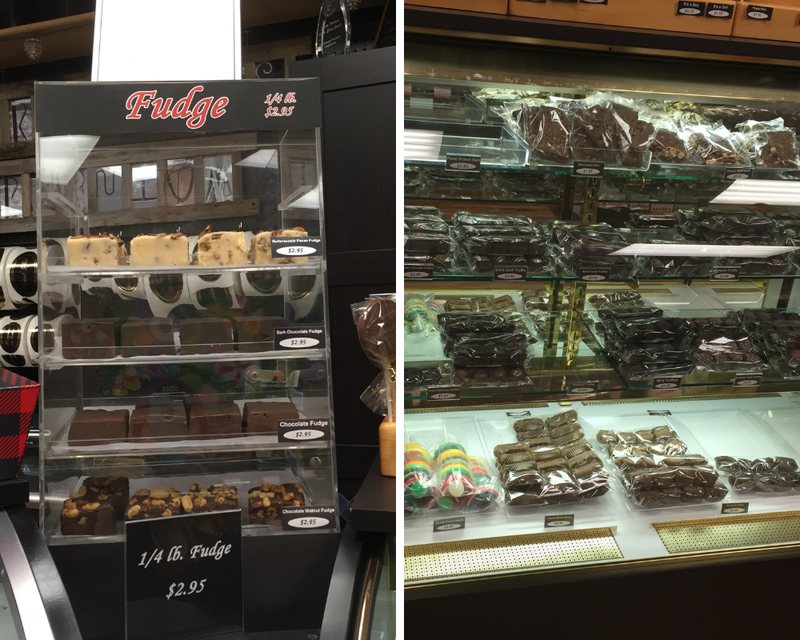 How can you not find your candy weakness at Northwoods Premium Confections! 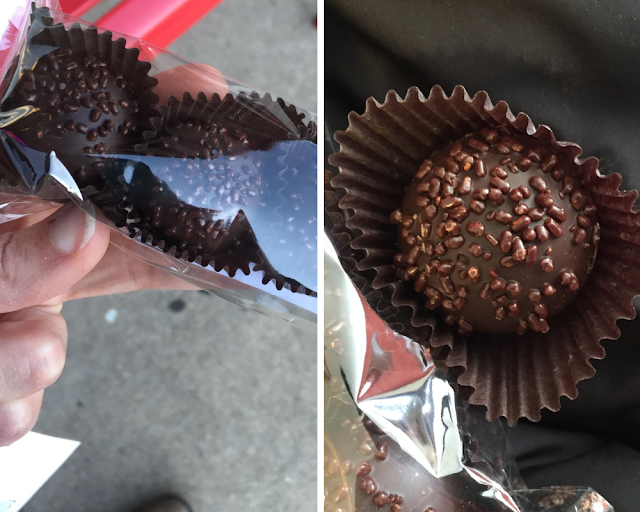 Of course, we could not resist trying a sleeve of truffles. We choose espresso truffles. I have to say, they were quite pretty -- I love the sprinkles on top. The truffles were delicious and we were impressed with quality. Such a sweet way to start our visit! After our sweet pick me up, we headed to the Beloit Farmers' Market. Immediately, we took note of the size of Beloit's Farmers' Market. The market is the second largest in all of Wisconsin. Talk about an experience! Sites and smells of the Beloit Farmers' Market. Beloit's Farmers' Market is not only home to fresh locally farmed produce but also is home to a variety of local artisans including potters, leather crafters, woodcarvers, metalworkers and more. Some artisans are there most weeks, but selection can vary. 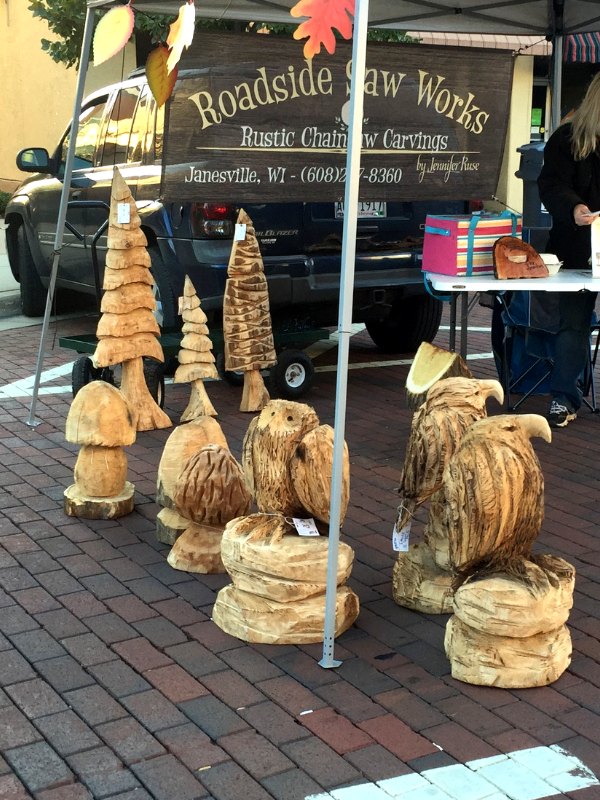 We were totally amazed by these stunning woodcarvings! Of course, we were also there for the produce and despite visiting in late fall we found that the market was still a cornucopia full of produce. Apples, tomatoes, leeks, onions, squash and much more produce inspired ideas for fresh farm menus! The Beloit Farmers' Market runs yearly May through October. Bushel and Peck's also hosted a later winter market. Welcome to the Flying Pig! 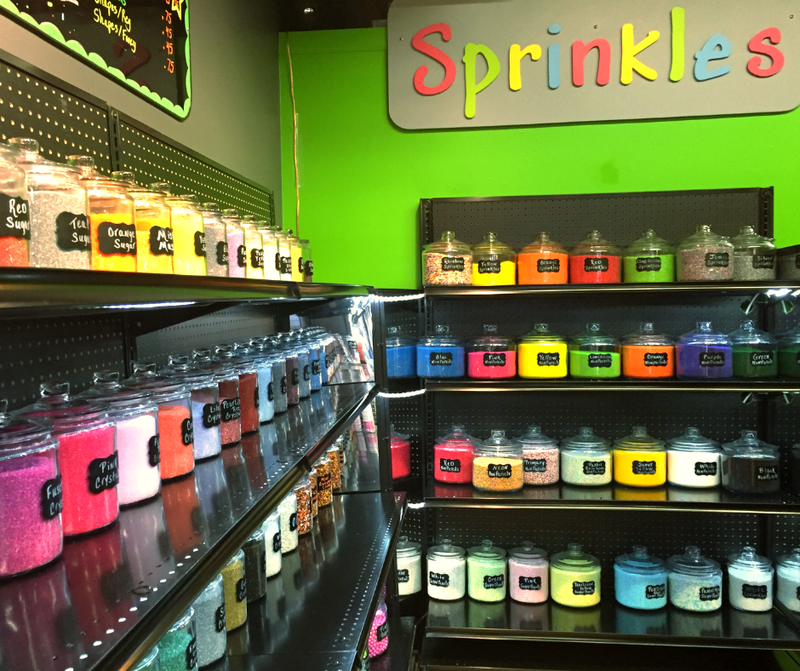 A whole rainbow full of sprinkles! Loose leaf tea heaven at Flying Pig! Glowing calcite under the blue light at Rock County Rocks and Gems. I brought home a beautiful amethyst point. The owner of the store was very nice and can help you navigate the cache of rocks, minerals and gems to choose the perfect ones for you. In my post on Tasty Local Bites in Beloit, Wisconsin, we took a peek at the farm fresh meals at Bush and Peck's. Bushel and Peck's actually has quite a few interesting layers to explore in addition to the cafe. Bushel and Peck's also is a farm market with flare including a fun used book section -- who couldn't get lost perusing for a gem? Go on a journey with a new book at Bushel and Peck's! I fell in love with Bushel and Peck's plant area. Over the past couple of years, I have been collecting more plants to help purify the air in our home. So, I was thrilled to see a quality selection! 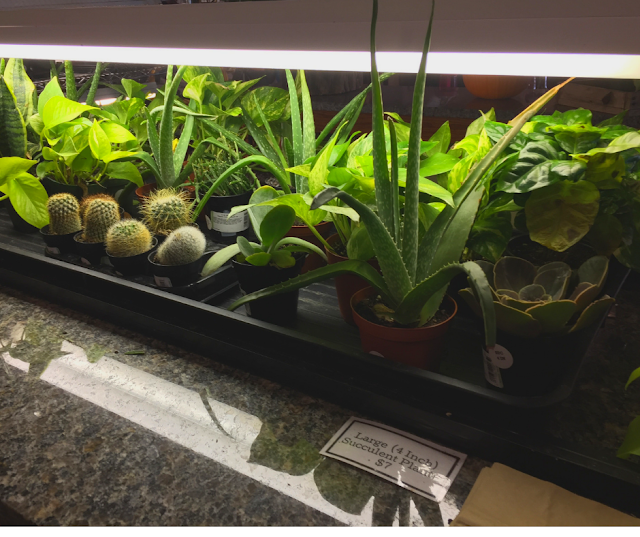 Plants that can provide air purification of your home at Bushel and Peck's. 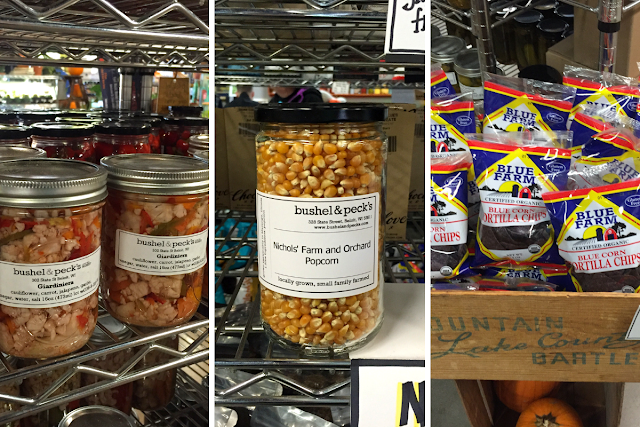 Bushel and Peck's market features items from local farms and producers as well as fresh jarred preserves, veggies, sauces and more. Additionally, Bushel and Peck's has hearty and healthy soups available to bring home for great meals. They have quite a selection! We had a hard time choosing one to bring home but settled on the curry cauliflower which was dynamite! We enjoyed he Blue Farm Tortilla Chips from Janesville with our lunches -- excellent! Additionally, Bushel and Peck's is a great spot to pick up a locally made gift items including soaps, candles and more. Range of locally made giftables ready to give! Even the spirits at Bushel and Peck's are locally made including whiskey from Burlington, Wisconsin's AppelTreow! Bushel and Peck's is a local wonderland full of epicurean items from local farms and producers. Plus, the market is home to items made by local makers. All of this adventure is on top of enjoying breakfast, lunch or dinner at the market! Our time exploring some of the small businesses of downtown Beloit is a sampling of what there is to offer. Downtown Beloit is home to additional gifts shops and boutiques that we would like to explore on future visits. Of course, there are plenty of places for munchies too! 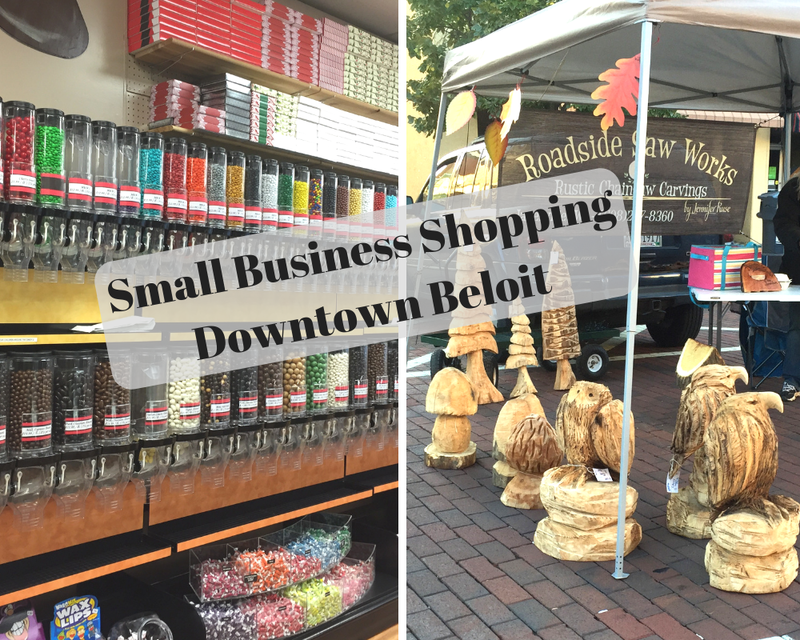 Downtown Beloit is a great spot to celebrate local!